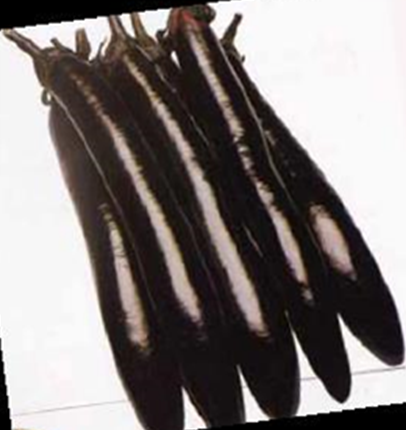 Eggplant | Shneor Seed Co.
Classic type, long oval, with attractive deepblack color. Fruit can reach 20 cm in length. Plant is highly productive. 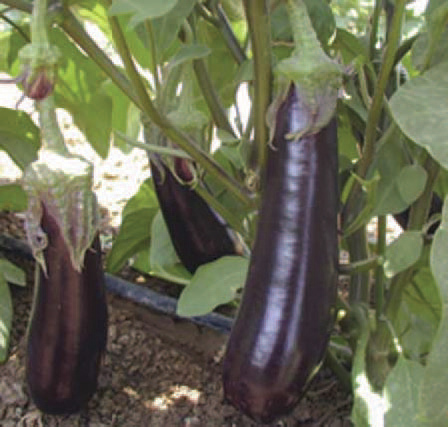 Suitable for greenhouse and outdoor production. Average cycle. Size:20-25x4-6 cm. 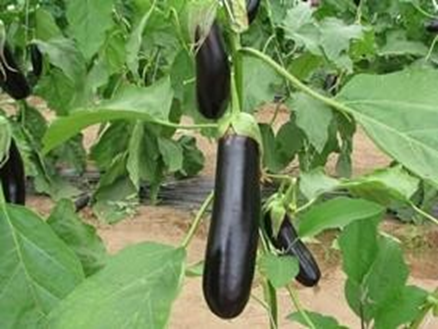 The plant has a good strength and is suitable for greenhouse and open field cultivation. 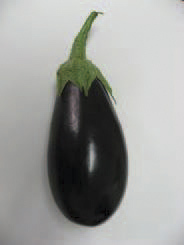 Fruit weight is about 250 gr, enlogated shape. 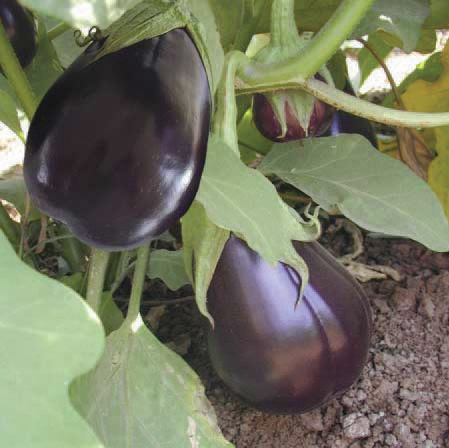 Good texture and brilliant dark purple color. 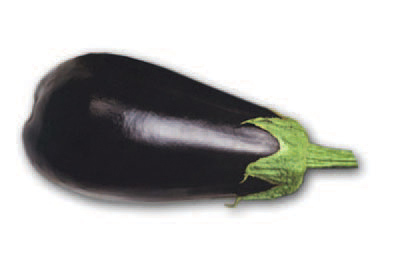 Fruit color: black purple. Shape: big and long. Straight growing. Easy to grow and vigorous. Enlongated fruit, with no thorns. Has a 23-25 cm long and 5-6 cm in berry diameter, an average weight of 230 gr. 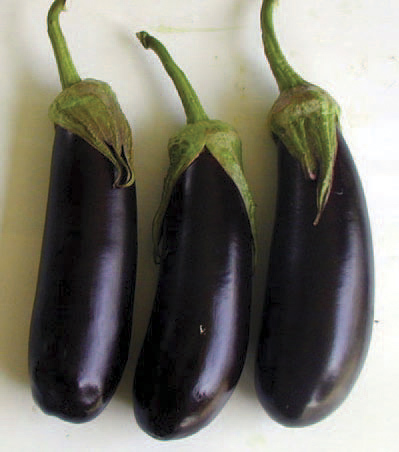 The flesh has excellent consistency with long shelf life for the slow development of seeds. The plant is vigorous and medium to long internode. Thanks to its vigor, it ensures high productivity and can also be grown in the open field. New long oval, with attractive deep-black color. Fruit weight 350-450gr. Fruit can be picked at a young stage of 10gr. and up to 150gr when mature. 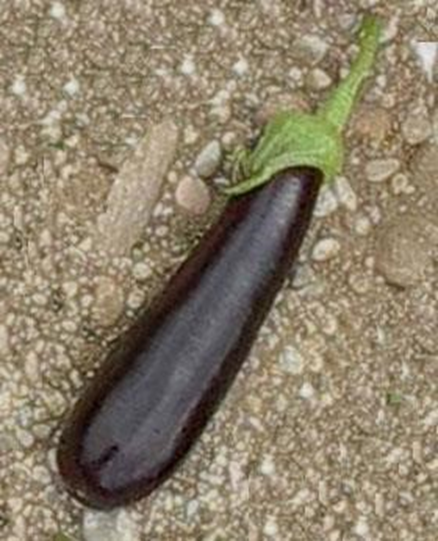 Skin color: attractive deep puple. High tolerance to Ve. and Nematode. We have valuble experience with it, talk to us.